My last blog post on how Meshmixer saves lives was about people who work with cardio patients (Read Part 1 here). Today I’m talking with two medical researchers who make a difference in people’s lives by using Meshmixer. Meet Chris Williams, Associate Professor and Senior Research Fellow from Bionics Institute, Australia, who is working on Bionic Vision, and Cathleen Cooper a 3D Lab Manager at Columbia/NYP Hospital in New York. RS: Chris, you’ve been working on research of the bionic eye. You were awarded the Hamilton prize from the New Zealand Royal Society for Brain Rescue Research undertaken at the Liggins Institute. You have contributed to over 90 primary scientific papers and have 18 patents awarded. This is an incredible list of achievements! Can you please tell me more about your current work? 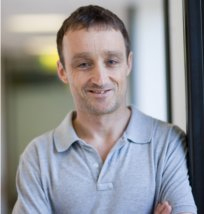 Chris Williams: I'm part of a small medical research Bionics Institute in Melbourne, Australia. 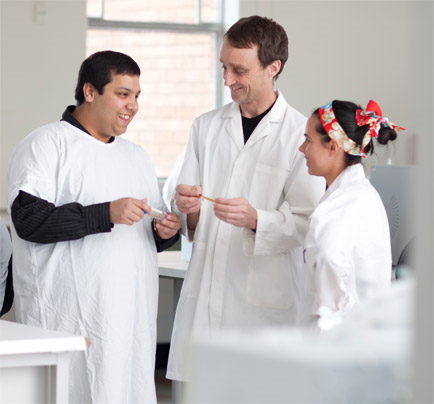 Historically this institute was closely involved in the development of cochlear [inner ear – RS] implants. Currently we are working on small retinal, deep brain stimulation and epilepsy monitoring implants with local eye surgeons and neurosurgeons. This work involves prototyping and testing custom surgical tools, electrode arrays, implant bodies, electronics and wearables. This work also requires prototype molds, connectors and electronics enclosures. Most components take about 20-30 iterations through to manufacturing and clinical trial. The later steps still use proven clinical grade fabrication methods and traditional CAD, milled molds, silicone injection or compression molding, etc. RS: Where does Meshmixer come into your workflow? And what are your favorite features? 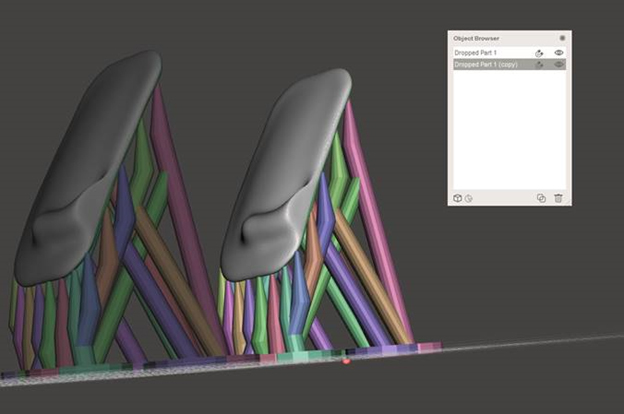 Chris Williams: Our primary use of Meshmixer is for rapid prototyping iterations. 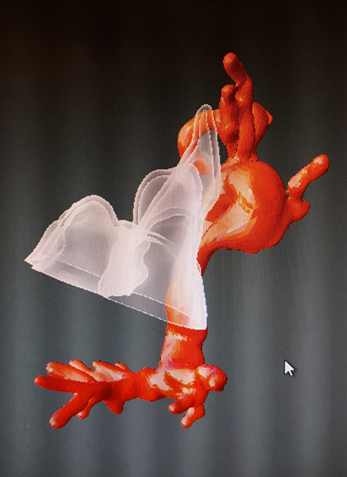 For example, a massive advance for us has been to be able to identify anatomical fit and other issues when working with surgeons, then correct these in Meshmixer and print another prototype component for evaluation within a few hours. Previously this cycle would take months and involve fabrication of new molds. A key enabling capability provided by Meshmixer is the ability to customize support structures for new DLP print processes and print materials. 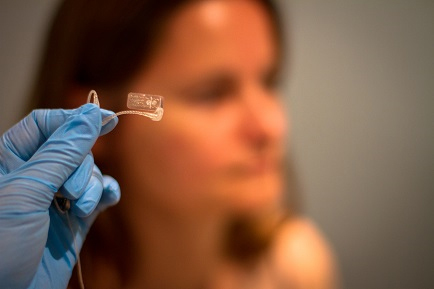 Small flexible implant prototypes can be printed in soft urethane acrylates as substitutes to microinjection molded silicone components. The support structures have unique requirements in that both grow points and mechanical support structures need to be provided for flexible components. Spherical touchpoints also reduce support removal issues. I guess, we would like to be able to refine and automatically share support settings easily with collaborators. RS: How does this impact your collaborative productivity? Chris Williams: An opportunity that is developing is to be able to easily share components for 'mashup' of prototypes. Previously CAD has only been done here by the experienced engineers using Inventor. These engineers would then mill molds and fabricate prototypes. This is a slow and costly process. What is beginning to happen is that Meshmixer implant components can be shared (via DropBox plus Boxifier) with collaborators for custom implant ’mashups' and printing. This greatly accelerates the development process. It also empowers researchers and fabrication technicians who have limited CAD experience to contribute to implant development. RS: Thank you for your time, Chris! Your work is incredible! RS: Cathleen, you are an Associate in Clinical Radiology and a 3D Lab Manager at Columbia/NYP Hospital in New York. What does your lab do? 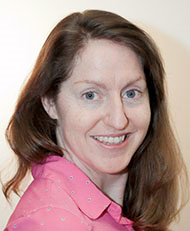 Cathleen Cooper: We do routing post processing for all clinical areas including but not limited to Chest and Cardiac (e.g., TAVR measurements), Abdomen (e.g., Pre-operative Liver and Renal Donors), Musculoskeletal (e.g., Fractures), Neurology (e.g., Functional, tumor, and perfusion imaging) covering both qualitative and quantitative image manipulation. The lab also does 3D printing for patient education, preoperative planning, and medical student education. We conduct integrated training among the radiologists and real time learning open to all departments and training levels which includes post processing, 3D printing, image manipulation, and presentation skills. We also do data management including data preparation for publication, standardized data anonymization, secure transfer and packaging of data for IRB projects, and presentation quality graphics and medical illustration using Radiology data, drawings, graphics, and imaging. RS: That’s a lot! So, how long have you been using Meshmixer and what are you using it for? Cathleen Cooper: Over a year once I realized it existed. The original idea was to be able to put two printed parts together. Such as a heart with a cut plane through the ventricle. So, with a lot of tutorials and reading through forums, I realized how to create Boolean subtractions with Meshmixer which fit the size of the magnets I bought. RS: Can you please describe your typical workflow? Cathleen Cooper: Patients get scans (CT or MRI), we segment the data using our software (Toshiba Vital Images or Tera Recon), we export as STL, then if needed I will put it into Meshmixer for a few potential reasons: first, Meshmixer does a very nice plane cut if we don’t want/need to bend it, if we want a straight cut, Meshmixer has a very nice visual interface to show it. 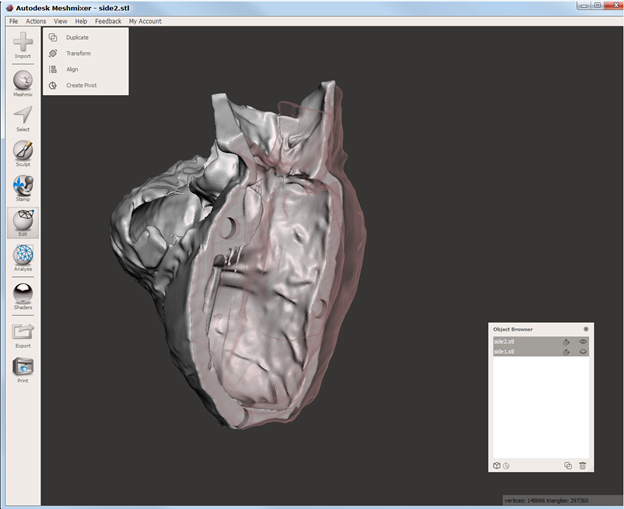 Meshmixer also creates a nice visual to show the “proof” to the surgeon, the transparency and coloring and layers really allow some nice visuals and the doctors love that. (It would be nice to have a feature to allow export of screenshot as PNG or JPG). Also, Meshmixer lets me make a nice base to sit the print in by the Boolean subtraction tool though I still struggle with how to use it. I would love to be able to use Meshmixer to add a label to the mesh, like our hospital logo or the patient information. RS: Meshmixer does allow you to stamp a model with a custom stamp. On Meshmixer Manual website there are instructions on how to create custom stamps. Are there any suggestions you have for us or new features in the Meshmixer that would make your job easier? Cathleen Cooper: Having a ton more generic shaped primitives which are inherently solid would be awesome. And the next big thing I want to do is wrap the prints with some color map of their blood flow so having the capability to insert a map and scale it on the print would be great. And if we can output the polygon mesh as a file and make a map from it, that would be awesome. RS: Sounds like we have our work cut out for us! And finally, how does your work impact your patients? How many people benefit from your service? 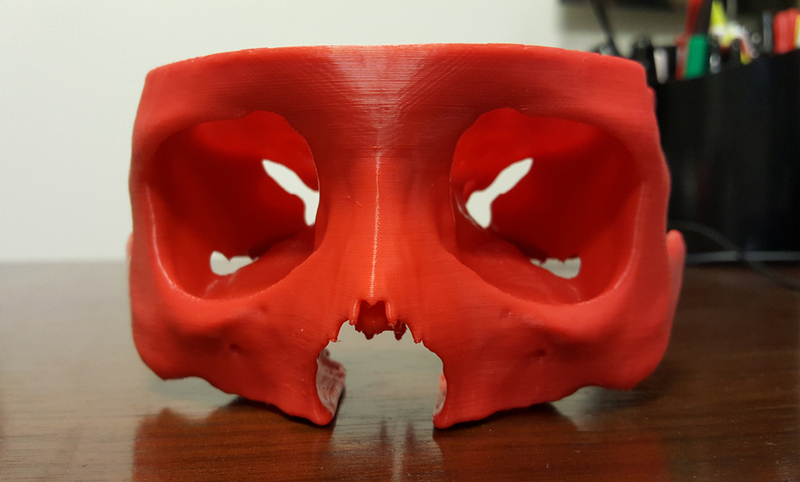 Cathleen Cooper: Since we are a teaching hospital, 3D prints have added a great value to our doctor-patient and attending-fellow-resident relationships. 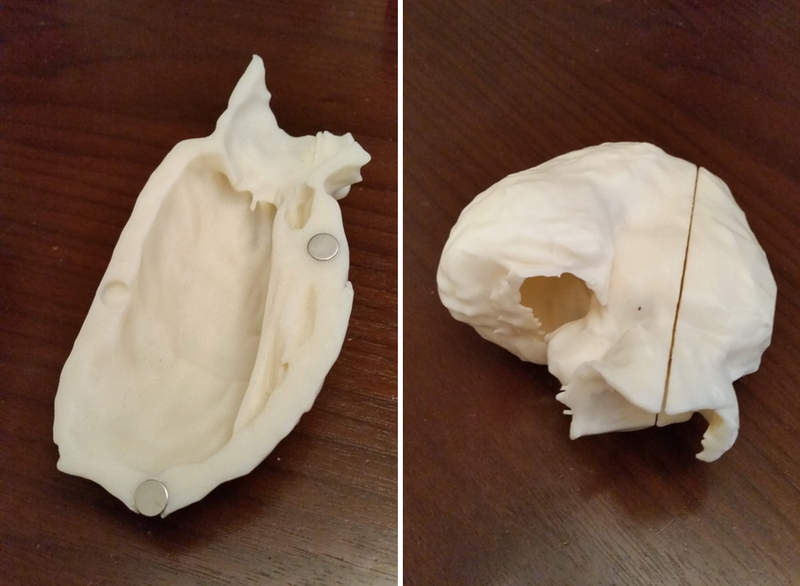 Surgeons can use them to explain to patients their medical problems and how they will be treated because these 3D prints are custom made to that patient’s anatomy. 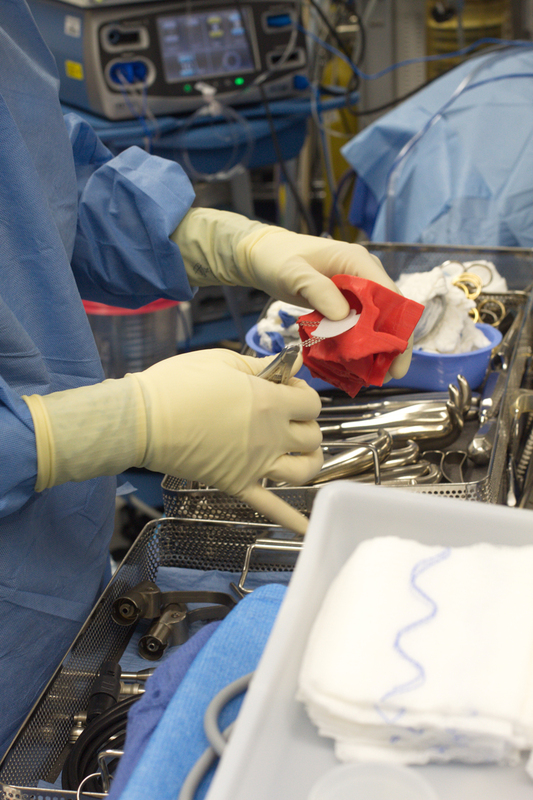 Our patient population is largely that of Hispanic origin and non-English speaking, so it helps to be able to hold the 3D print in your hand while preparing for a surgical case. Doctors can use them to explain their approach, and it becomes a real educational tool. I’ve heard from surgeons, it is a “game changer”! RS: Thank you so much, Cathleen! For your time and for your work educating patients!